Printing orders in a busy kitchen requires a printer with excellent performance and unrivaled reliability. Kitchen printers must also be durable and able to withstand harsh environments. Star offers the following solutions to satisfy these requirements. The SP700 features an optional "kitchen buzzer". When a print job is sent to the SP700, the buzzer will sound off. This is beneficial for high noise environments like kitchens to alert cooks that orders have been sent to them. The SP700 designed-in rain channels away liquids from penetrating the printer. Its elevated base also brings additional protection and reliability when used in busy, restaurant-type environments. 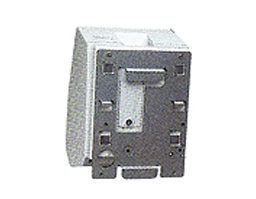 The TSP650II thermal printer features recessed cables to protect connectivity (Ethernet, USB, WLAN, Bluetooth, Serial, and Parallel). With its "drop-in and print" paper loading, small footprint, and reliable guillotine auto-cutter, the TSP650II is a welcomed addition to POS systems. Star Micronics' TSP650IIcloudPRNT makes the perfect solution for the growing trend of online ordering for take-out and delivery food service. The TSP650IIcloudPRNT thermal printer retrieves and prints orders from any online ordering service integrating Star's communication protocol. CloudPRNT will work with the online ordering service to store and create print jobs, and communicate status with the printer.